IMPACT STORIES PROJECT. Kinetic Pixel & Hub Helsinki. 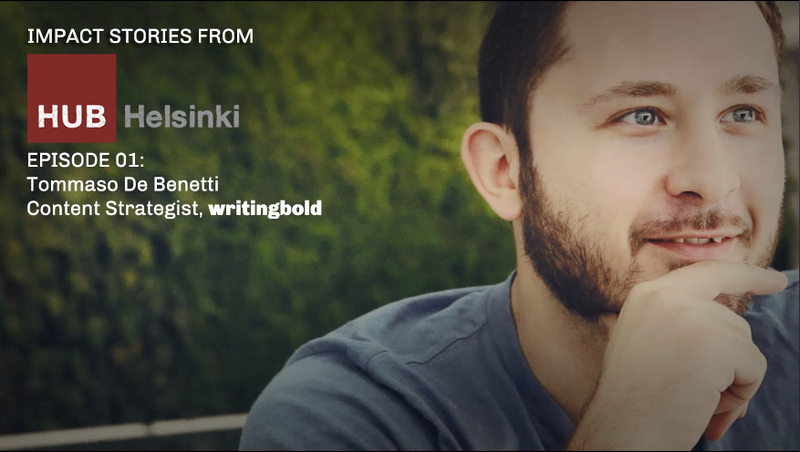 Video thumbnails: Tomasso De Benetti, writingbold project. IMPACT STORIES PROJECT arises from one innocent conversation at Hub Helsinki between Jose Manuel Sanchez and Iranzu Guijarro. Jose is a filmmaker, film editor and enthusiastic spanish boy and Iranzu Guijarro is a concept designer, host in Hub Helsinki and a curious girl. Both are working hard to make some great dreams reality. IMPACT STORIES is one of them. Here starts a real collaboration between these young entrepreneurs. Jose has his own business, called Kinetic Pixel and Iranzu is interested in art&design, write in her blog, WAY TO GO *Art&Design*. 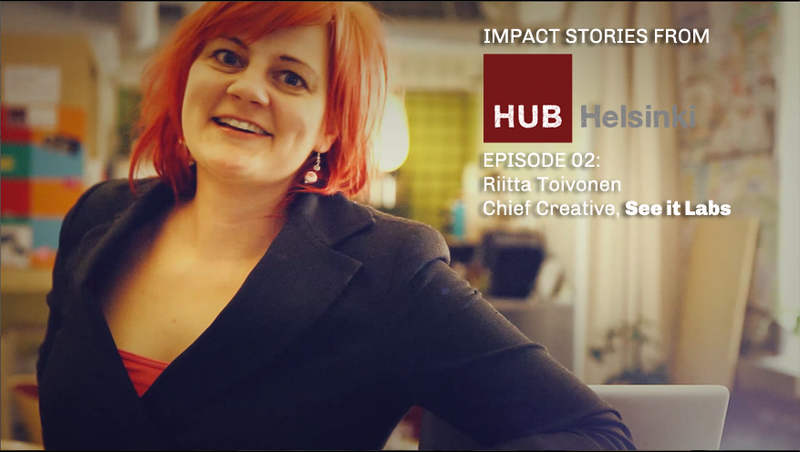 IMPACT STORIES from Hub Helsinki is a series of videos introducing Hub Helsinki Members ( helsinki.the-hub.net/ ). These episodes feature Hub members and their stories as entrepreneurs. Impact Stories have been born through collaboration between small entrepreneurs. They are a good example of how combining their skills, entrepreneurs can create something bigger than working just by their own and where enthusiasm counts more than euros. They are creating a fresh products and services which improve the Finnish economy and atmosphere. Team Working: Jose Manuel Sanchez, Verónica Diaz and Iranzu Guijarro. Video thumbnails: Riitta Toivonen, See it lab. In Conversation with Jose Manuel Sanchez, Kinetic Pixel. Tell us something about your background. Who or what were your inspirations in becoming the artist you are today? Actually, the reason why I decided to become a videographer is quiet interesting. I was thinking what to study after High School and Computer Sciences looked like the best option back them. Before I took the decision, a friend of mine came to my place and told me: “Look around your bedroom. You love reading, specially comics, you spend most of your time listening to music, drawing, writing and taking pictures. Why don’t you combine all of that and do Audiovisual studies…” This made a lot of sense to me so I moved to Madrid to do audiovisual studies. Since that day, I never rejected to take this path in my life. I own this friend a lot! Helsinki is now your residence, how that influence in your diary work? After the years, I realized that Finland is based in blacks (winter) and whites (summer) but my background is Almodovar or Medem’s movie, great directors at composing in color. For that reason, I react to the Finnish canvas by coloring it. Finnish landscapes have also influenced my work and how I use colors. The emotion is one of the main actors in all of your videos. Can be a little detail of your spanish roots? Is it your style? I grew up as a “videographer” watching a lot of Spanish movies, specially from Julio Medem. The emotions on his movies comes from the viscera. I like to think I also work with my viscera on my productions. 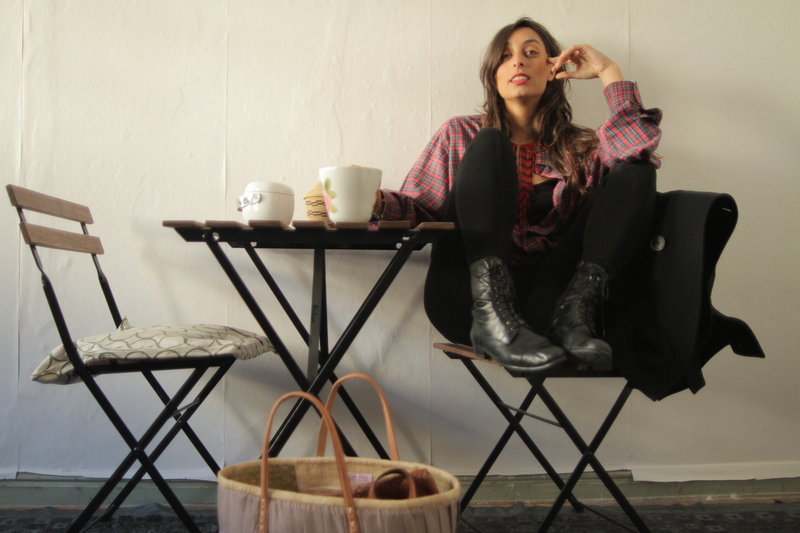 My style has a lot to be with what surround me and watch for inspiration. My style keeps growing as I gain experience but my emotions will remain the same, and my Spanish background has a lot to do with it. When you are editing, you start, first, with the image and then, music or… how is your way of shaping your final artwork, videos. Each new project requires a different approach. In general, I start editing the video before I think on the sound design. I listen to a lot of music for inspiration and sometimes I think ahead on a soundtrack for a video but when I get to the editing room, I realize that the video will need a different mood. Cases in which music had to be design beforehand are my animation work. The Helsinki African Film Festival Opening Titles is a good example of how the sound design needed to be ready before:https://vimeo.com/41541857 IMPACT STORIES Project is a collaboration that you are doing with Hub Helsinki. How are the things going on? Stand out 2 feelings or thoughts. “Impact Stories” is a good example of putting most of my skills together: From the original idea to the final renders I have been in charge of all the production windows. At the moment, we are launching the 5 first Episodes from “Impact Stories” weekly. One important feeling after working on these videos is to realize how my skills well-combined can create these episodes without the need of a bigger production. Also, this project is exposing my work tremendously, reaching more plays on Vimeo than ever before, which is great. If we start dreaming, What can the future of IMPACT STORIES Project be? I would be happy enough if we can continue presenting the Hub Helsinki community in future episodes after the summer. There are many talents and business ideas at the Hub that needs to be exposed. The dream would be to be able to grow the concept as a serie of Episodes showcasing entrepreneurship in Finland. A new wave of entrepreneurs is rising in Helsinki and I would love to meet these business ideas and the people behind them and learn from what they are doing. I would like “Impact Stories” to be THE reference place for anybody who wants to learn about entrepreneurship. Another dream I have in mind is to share this concept with other Hubs around the world and create more “series” for the global Hub Community. I would love to travel around and share the experience the best way I can: with this new visual channel for entrepreneurs. With these series I want to contribute to the entrepreneurial ecosystem in Helsinki (and hopefully, globally), showcasing Hub members to the world. Tell us your favorite finnish film and spanish film. It is very difficult for me to pick just one film, mostly because I love a lot of movies from both countries. The Finnish industry has delivered great documentaries like “Miesten Vuoro” (Steam of Life, 2010) or Auf Wiedersehen Finnland, 2010. Both movies are great visually. I have seen too many Spanish movies and the list can be endless. To understand my visual work, two Spanish directors are great example: Julio Medem “Los Amantes del Circulo Polar” and Isabel Coixet “My Life Without Me” have a special place in my heart. 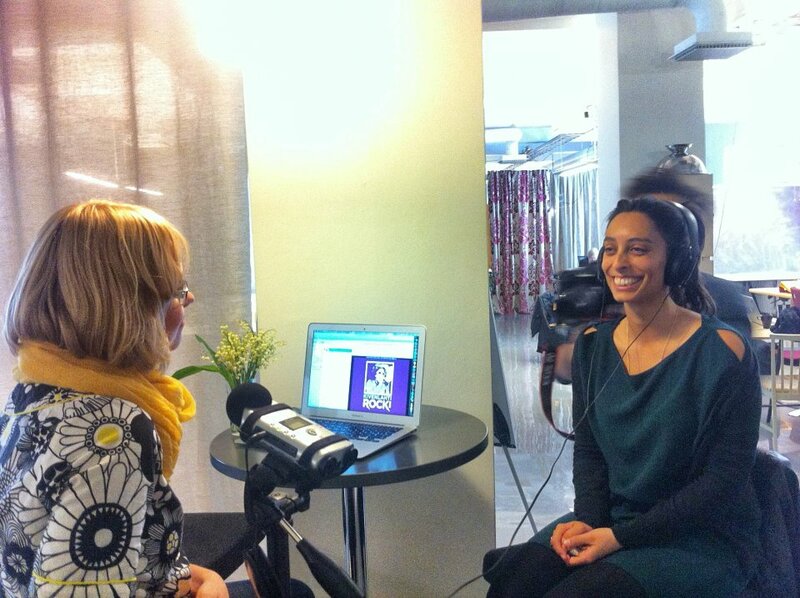 In Conversation with Iranzu Guijarro, Host of Hub Helsinki and Project Manager of IMPACT STORIES. What did you move to start coordinating this project? I remember perfectly when Jose was explaining about his idea of making mini – documentaries of Hub Helsinki Entrepreneurs Community. I got in love with the idea. And I introduced it to the Hub team. 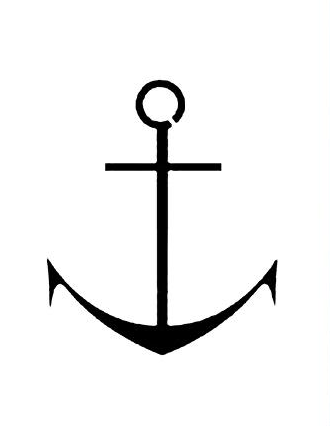 In my opinion, the main reason or the big advantage of IMPACT STORIES project is to know more deeply what is happening in Helsinki Business Environment and do networking. IMPACT STORIES name. Where or what inspired you? When I started working in Hub Helsinki, I got interested in knowing more about the brand, past projects and in this reading moment, I read something about IMPACT STORIES in other Hub and I felt a good connection with the idea of Jose. I like to listen to people stories. Video thumbnails: Kim Wikstörm, Meditation at Schools. Which is the strategy of launching IMPACT STORIES videos? We launched the first Episode in the beginning of June , 2 weeks ago. The strategy that we have chosen is similar to TV series. Every Thursdays, we decided to launch one episode. Now, the summer-holidays is coming and we might have, for the last week, a double – Episode as “season finale“. Everything is announced in Hub Helsinki Members Facebook group, Hub Helsinki Facebook page and Hub Helsinki main website. We want to spread the concept and the project to different social/entrepreneurship/creativity/innovation blogs and press. If we start dreaming, how can it be the future of IMPACT STORIES Project? 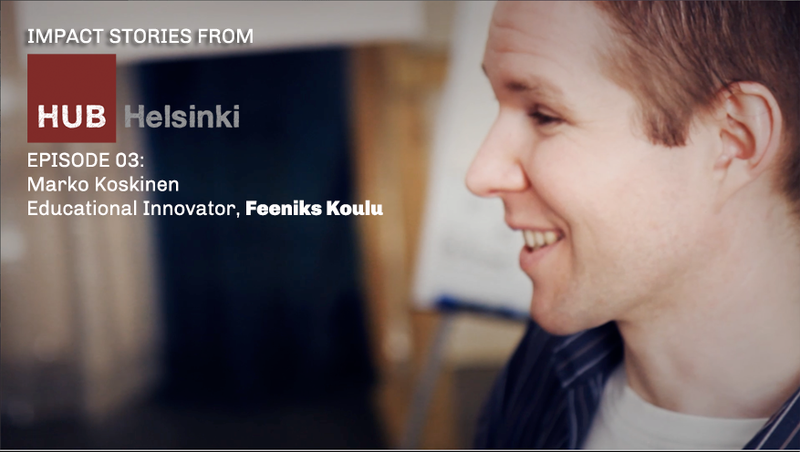 IMPACT STORIES can be an online platform where Finnish entrepreneurs can upload their business stories, ideas in a visual format. Easer and faster to understand. First, we want to start with Finnish entrepreneurs and then, thanks to the international networking of The Hub, the platform can get bigger and more interesting. A bank of entrepreneurs ideas! Jaana Sorvali, Jose Manuel Sanchez and Iranzu Guijarro at Hub Helsinki. IN ACTION.